Honolulu Councilwoman Ann Kobayashi hopes better cooperation among property owners will help alleviate a pricey problem. 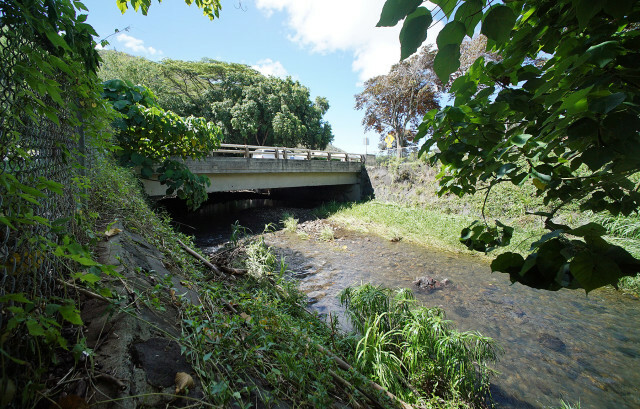 It’s been more than a decade since a storm caused the Manoa Stream to overflow, spilling water down the valley and flooding the surrounding neighborhood, University of Hawaii campus and Noelani Elementary School. The damage cost residents and businesses in the valley about $5 million, according to a 2006 federal study that suggested short-term projects to mitigate flooding risks in Manoa. UH suffered about $81 million in damages, and the state Civil Defense (now the Hawaii Emergency Management Agency) reported an estimated $71 million in damages to state property. A new city resolution states that the City Council believes that this flooding was caused in large part by the failure of the city, state and private landowners to properly manage the drainage of flood waters and the city’s failure to clear blocked storm drains. Manoa Stream Bridge, site of the 2004 flooding. At the time on Aug. 28, 2015, there was about five feet of space under the bridge. 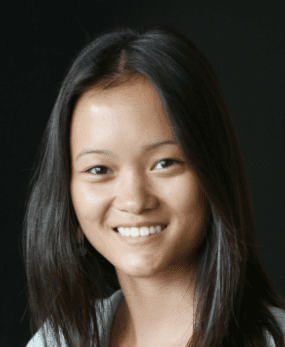 The problem, according to Councilwoman Ann Kobayashi, is that because Manoa is an old neighborhood, there’s always the question of who owns what, and that leads to maintenance being neglected. “As we’re debating all of this, the rains keep coming and the flooding happens,” she said. Kobayashi is introducing a resolution that urges the city, state and private landowners to cooperatively maintain existing drainages and storm drains and hasten flood mitigation improvements in the neighborhood, especially for streets like Huelani Drive, Huelani Place, Rainbow Drive and Oahu Avenue. “So cooperating together, the state doing their part on their state land and the city then doing the fixing on the city land,” she said. Kobayashi said part of the problem with getting the city, state and private landowners to work together is deciding who will incur the cost to put in new drainage systems and to maintain them. Her resolution cites Huelani Drive as one of the streets that has blocked storm drains. However, no one maintains it because the state and city can’t agree on who the owner is. Kobayashi said she has looked at creating a city resolution that would clarify who owns what in Manoa and has had meetings with legislators to talk about the ownership of Manoa Road – another street where the city and state can’t agree who the owner is – but none have been successful because no one wants to claim ownership. Because there are no committee meetings in December, the full Council is scheduled to consider the resolution on Thursday. Kobayashi said she hopes it will pass. “I hope people understand the difficulty of managing these drainageways and that we need cooperation,” she said.